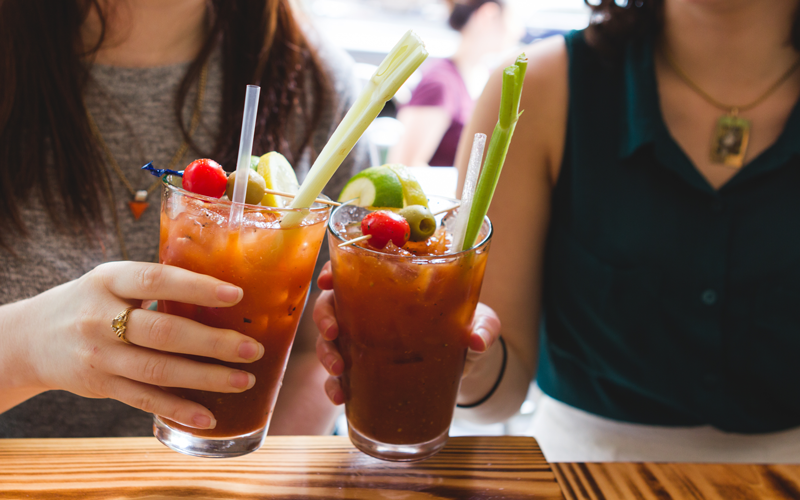 Did you know DC is home to a bustling Bloody Mary scene with a range wide enough to satisfy the tastes of any cocktail aficionado? One of the best elements of this classic cocktail is that it is infinitely customizable, and the variety available to try in this city is endless. No matter your preferences, we hope this #FrayLife guide helps satisfy your craving for (or soothes your hangover with) some seriously delicious tomato-based adult beverages. If you’re looking to DIY your own Bloody, Logan Tavern is a great choice. There’s a smorgasbord of options—you can start with 1 of 8 vodka choices, including cucumber- or horseradish-infused spirits; add your tomato juice with indicated spice level; throw in whatever toppings your heart desires; and even add a flavor infusion. While several bars in the area serve up build-your-own Bloody Mary bars, you won’t beat this value or variety. And from one Fray Lifer to another—go ahead and upgrade to the larger $10 size. Love the spice of a Bloody Mary but can’t stand the vodka? Head over to Barley Mac for a bourbon-based Bloody that will knock your socks off. The Bloody Mac is even topped with sliced chorizo. YUM! Mescal fan? Try Espita Mezcaleria’s mescal-loaded take: the Guadalupe. In a 3-way battle, El Camino, El Rey, and El Centro all boast some delicious micheladas at competitive prices. Unless you’re new to DC, you know bottomless is the “thing.” But finding the best bang for your bottomless buck? Easier said than done. At these bars, unlimited Bloodys come alongside an entrée for less than $30: Dino’s Grotto, Local 16, and Bar Charley. Another fab deal? Head to Red Derby, where you can cash in for $2 a pop. Looking for a Bloody that stands out among the rest? Will simply any Bloody Mary just not do? 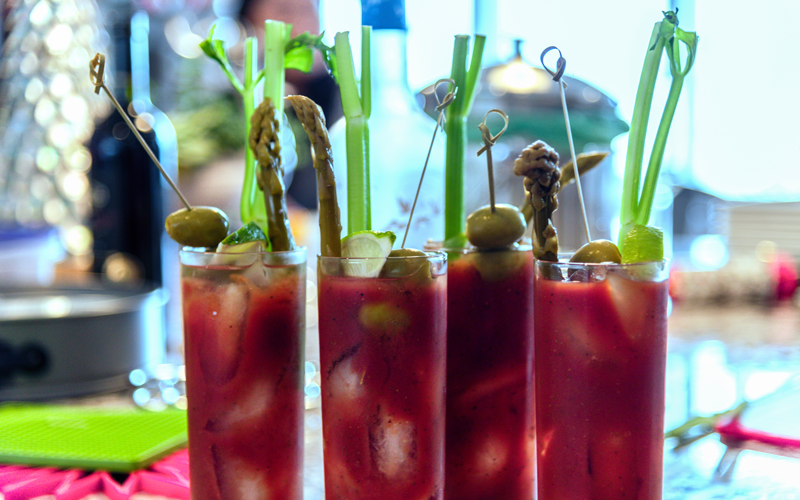 Try out some of the city’s finest, most towering Bloody Marys that can also be considered a full meal. Halfsmoke’s Breakfast of Shaw is topped with a slider, chicken wings, Tater Tots, cheese balls, and more. 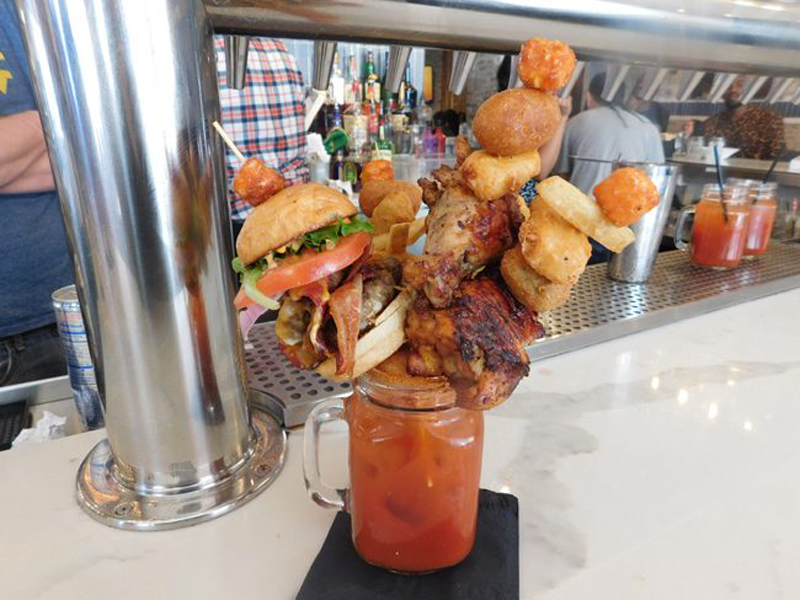 For the seafood fanatics, feast your eyes (and your stomach) on the Perfect Storm: a house Bloody complete with a full crab claw, an oyster, sausage, and more. Do you know where to find a mean Bloody, or do you mix one up yourself? Show us what you’ve got, and tag us using #FrayLife so we can follow along! Looking for something hot to warm you up this season instead? Check out these local Hot Cocoa stops in DC. This chocolaty beverage can be spiced up with a shot of your favorite liquors for an evening drink!